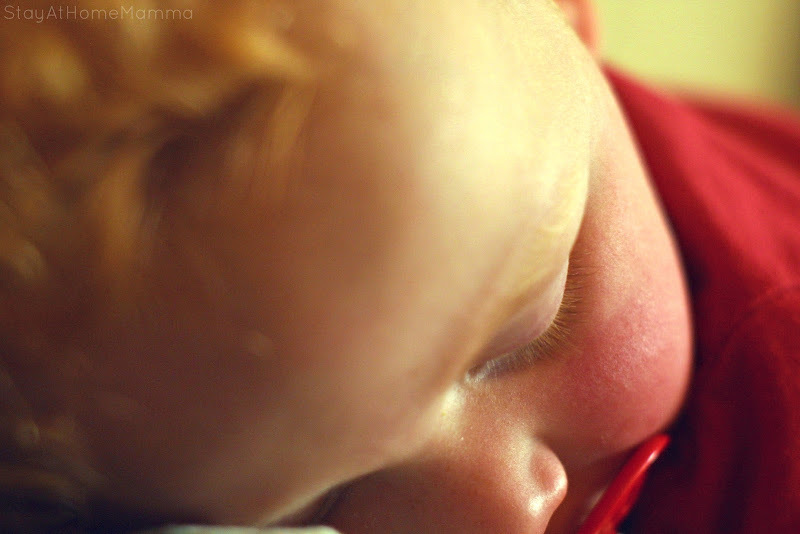 We have an incredibly delicious little guy with red hair. He's called our rosso furioso. Every household needs a bit of red fury. His personality is L A R G E and his temperament is oh so sweet. And hilarious. When he has a moment of fury, it really does last for just a moment. And don't you dare try to touch him during his 'cooling down' moment. You will get told to move away. In the way only a 23 month old can. 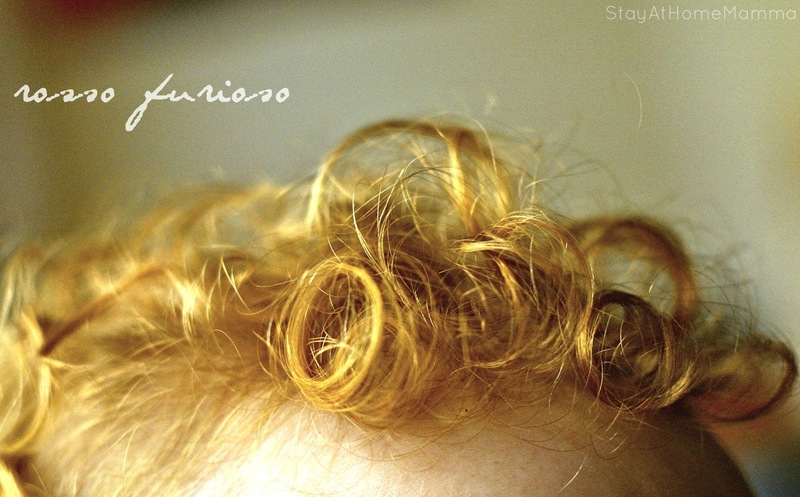 Next month our rosso turns two. Goodness me, he's becoming a big boy now. And I still haven't shifted that extra 10kg of pregnancy weight. Damn. Oh but it has seen it's last days, yes it has. After I've finished eating the cake I'm about to bake with Beni... then it's seen it's last days. 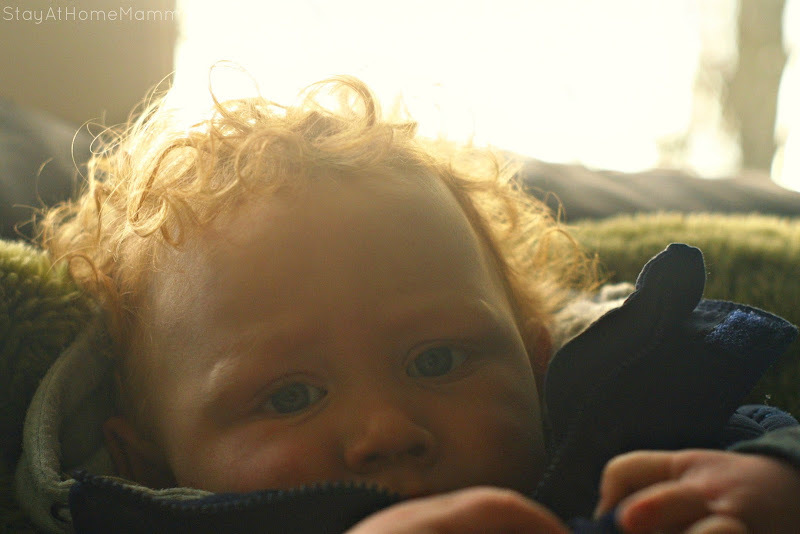 Every day I am astounded at Max's beautiful red curls. 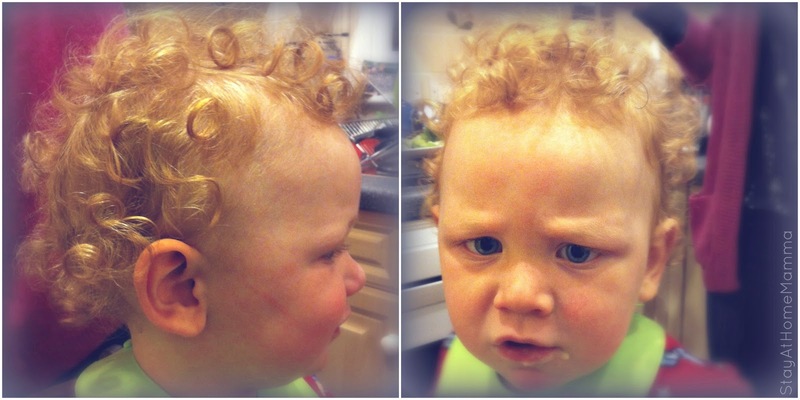 It's so cool to think I've got a little golden head boy with ringlet curls. When we were living in Italy last year Max was almost looked upon as an immortal god with his golden hair. And now here we are back in the UK where redhead's (ginga's) get teased to no end.... hmmmm. 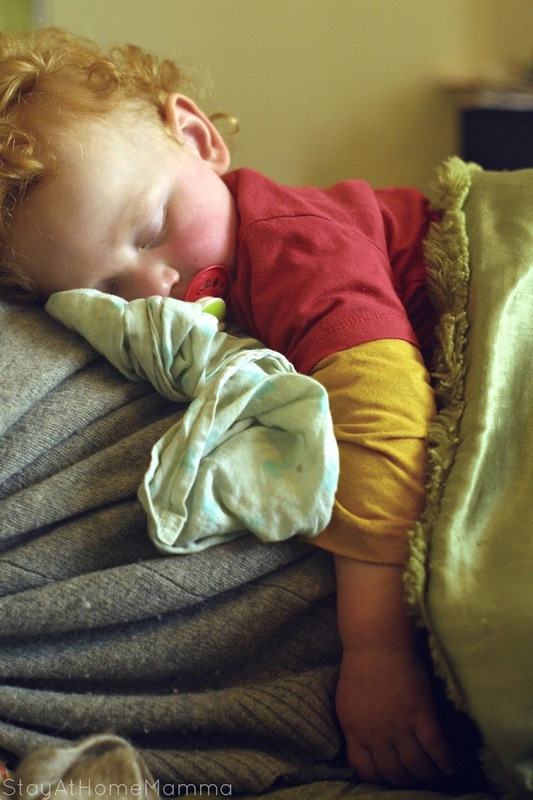 It's cruel and ridiculous and now that I've got a wee 'ginga' of my own don't anyone dare tease my boy about his red hair or this mamma will be laying down some serious whooping on y'. With two older and equally as boisterous brothers, Max is still easily able to hold his own in battles of the wills, battles of the farts and burps, and battles of the song and dance. He has no confidence issues and gives as much as he takes, all with a cheeky smile on his face and frown on his brow. You know that indent at the base of the head (I'm sure it's got a special medical term)? Well Max has a particularly delectable one that cries out to be kissed for much of the day. Oh yeah and his skin smells lovely there too. 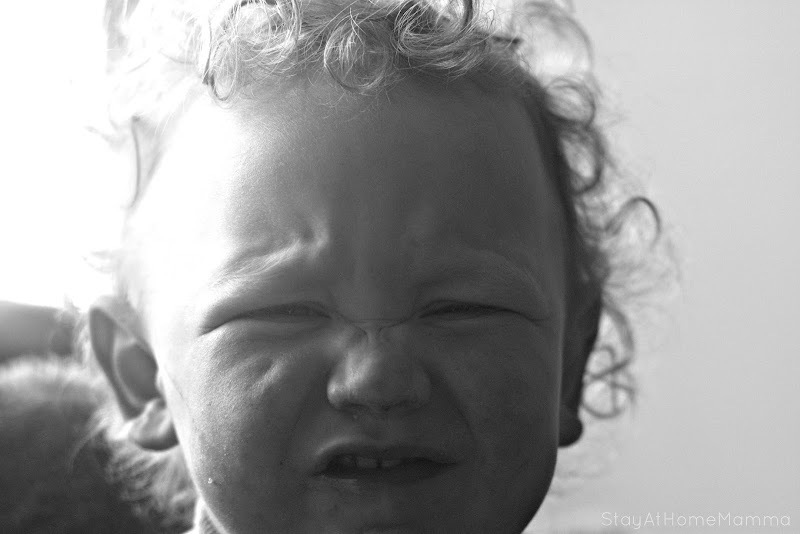 Constantly being kissed and smelt by his mother. Max is such a wonderful and ordained addition to our household. Although he was a SURPRISE he was a very welcome surprise and now I can't imagine life without our rosso furioso. He has brought even more colour to our household, which I didn't think was possible but is so very welcome. So I show them a video of myself actually getting paid $500 for taking paid surveys to set the record straight once and for all.